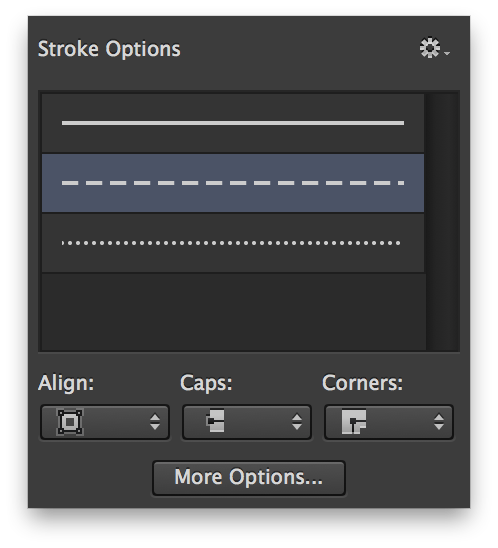 OK, so we can do dotted and dashed strokes on a path now in Photoshop CC and CC 2014. Awesome. This works on shapes. But how to create a single (1px or 1pt) line that could be used for example as a divider in your interface design? 1. Draw with Line Tool? No. 2. Draw with the Pen Tool? No. 3. Delete Anchor Point Tool from an existing shape? No. Would be a nice hack. Doesn’t work. By removing points the shape is still in tact. Not sure how that works when 2 points are left, but it simply doesn’t fill, and it doesn’t stroke. Too bad. 4. Select anchor point and press BACKSPACE/DELETE. Yes! Yes! Almost similar to the previous. The shape doesn’t connect as a whole anymore. The final path with two open ended anchor points get a nice stroke between them. This is the way to go. Select an anchor point with the Direct Selection Tool (White Arrow) and press backspace or delete. THANK YOU! Not sure why it took me so long to search for the solution. oh my word I was hoping this wasn’t the only way to do it, but after scouring the net, this is the only way to make the vector line with dashes! Thank you!